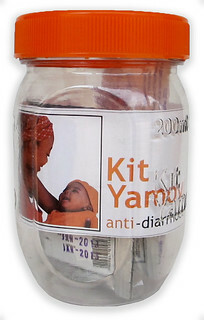 The Kit Yamoyo (‘Kit of Life’) is an anti-diarrhoea kit that contains 4g/200ml sachets of Oral Rehydration Salts (ORS), Zinc, Soap and an instruction leaflet which carries the branding. The Kit Yamoyo packaging acts as the measuring device for the water needed to make up the ORS, a mixing and storage device and a cup. It is available in two formats: The Original (the AidPod) which can be transported in Coca-Cola crates and The Screw-top which is cheaper and can be manufactured locally. All these features are explained by Simon Berry in the video at the end of this page as he opens an original kit and demonstrates its use. This is what Coca-Cola does of course – see How Coca-Cola’s distribution system works. These findings have driven the development of The Screw-top which is cheaper. The Screw-top can be produced locally and is a better measuring device, mixing device, storage device and cup. 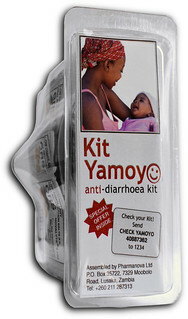 We are now planning for a national scale-up in Zambia and we think the commercial sector will be able to deliver our life-saving Kit Yamoyo anti-diarrhoea kits to everyone who needs one without subsidy in the main towns. However, we need to subsidise the kit for remote rural areas where people are still poor and do not have cash all the year round. We apply this subsidy very carefully so that it does not undermine the market for the kits. If there is no market for the kits in a community, they will not get there. This is how we do it. As part of the marketing and promotion, we give mothers vouchers. These vouchers reduce the price of a kit to a level that the mothers can afford. Mothers take the voucher to the shopkeeper and pay the balance in cash. The retailer redeems the voucher and so is rewarded for bringing the kit to the community and the mother gets the kit at a price she can afford. 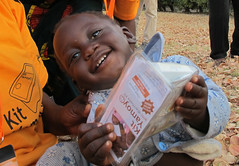 We have learnt that most mothers and care-givers use just 2 ORS sachets and 80% use 5 or less. This means ORS is left over when the child is better. This means that the second time diarrhoea strikes the child will only get ORS and not Zinc. In future, the Kit Yamoyos will be made up with 4 ORS sachets and not 8. This will reduce costs and increase compliance to the combination therapy of ORS and Zinc. The production version of the AidPod is the Mark XI (featured above) is a very slight modification to the Mark X below). It’s taken nearly three years of campaigning and open innovation to get here. Up until Mark VIb the AidPod was seen as the container to carry a range of social products. 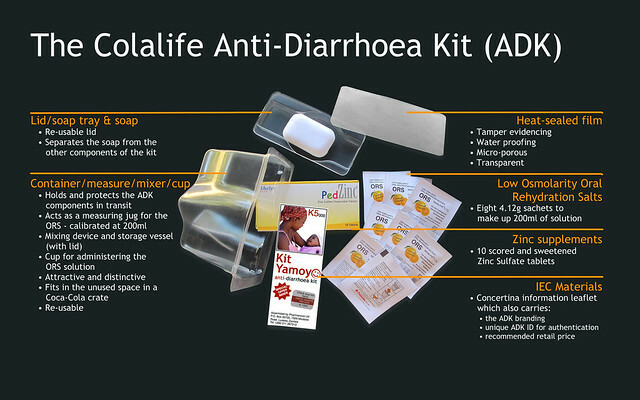 Then, for the trial in Zambia, we focussed on using the AidPod to carry the components of an Anti-Diarrhoea Kit (ADK). At this time (from December 2011) our partner PI Global, a specialist and innovative packaging design company, engaged. They helped us make a reality our ideas for the AidPod to be a functional part of the ADK acting as a measuring jug, a mixer, a cup and potentially a water sterilisation device*. More blog posts about the AidPod. The Akaa Project is a small US based nonprofit organization working in the Yilo Krobo district of the Eastern region of Ghana to create opportunity and improve the quality of life for families with poor resources and who have little access to health care. The Akaa Project is a partner to the United Nations’ Partnership for Maternal, Newborn and Child Health and has a committment to the Every Woman Every Child Global Program, initiated by UN Secretary General Ban Ki Moon to unite global forces to alleviate poverty and child morbidity and mortality in developing countries. 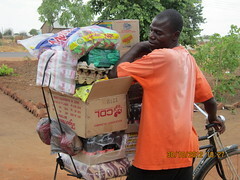 Residents of the Yilo Krobo district in Ghana are very underserved. Diarrhea is clearly one of the major causes of illness in children. In December 2012/January 2013, our project was instrumental in gettng 2 bore holes drilled, in an area where clean water never was available. Children remain at risk for dehydration due to malnutrition, lack of medical care, parasites and HIV. 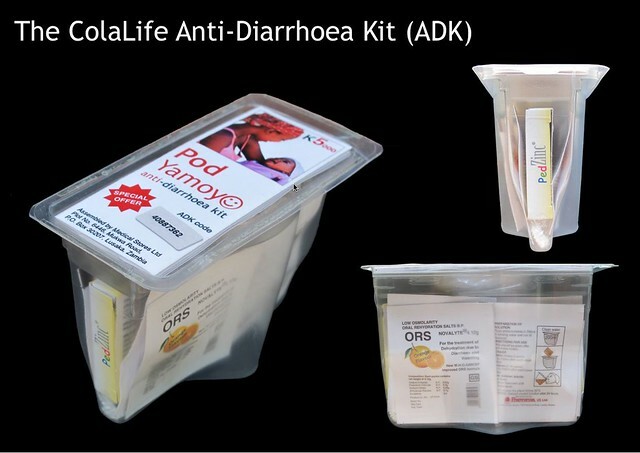 The project would greatly appreciate any assistance from Colalife with the availability of anti-diarrheal kits. Thanks for your comment. We are working in Zambia on a rigorous trial of the ColaLife concept. Our aim is to generate solid evidence that the system works so that the most sceptical of strategists can have the confidence to incorporate the key aspects of ColaLife into their own programmes. Johns Hopkins University is involved in the evaluation. So I would suggest that the best next step would be for you to draw our work to the attention of the appropriate authorities in Ghana. If there is enough interest in Ghana, I may be able to visit within the next six months. What has been good about working with Coca-Cola is that we have learnt how they do it and they have helped us in this learning process. Many people wouldn’t work with Coca-Cola on principle but this, we believe, is a mistake. Coca-Cola have achieved things – in terms of distribution – that the public and NGO sector have not, albeit with a fizzy drink. What we believe we have done is apply the learning from Coca-Cola and apply it to an essential medicine that addresses the second biggest killer of under-5 children in sub-Saharan Africa. Namely dehydration from diarrhoea. For a fuller explanation of this please read this recent blog post: It’s the value chain stupid. I work for a company that is focused on Somalia. We were wondering if the kit comes with water especially if we are to distribute it in arid areas. Thanks for your comment Pauline. No, the kit is not shipped with water I’m afraid. Are you there any future plans to introduce water into the kits for distribution in arid areas? Or get a water treatment tablets that can be used? Pauline – thanks for your comment. We did consider including water purification tablets at the early stages but there was concern that these would get confused with the Zinc tablets. But this may be a possibility in the future – sachets of chlorine next to the soap is another idea. Although we are not promoting this as part of this trial – the container is made of 80% recycled PET plastic which we believe will support water sterilisation using the SODIS technique. In which case, the packaging becomes a water sterilisation device as well as a container for the kit, a measure, a cup and a storage device. Why not just use the cola bottles for the SODIS technique? As I understand it, commercially available PET bottles work just fine for this and they have the advantage of coming with a screw bottle cap. Or does the Coca-Cola Company only sell glass bottles in Africa? Thanks for your comment. Ant clear PET bottle will work for SODIS so a clear Coca-Cola PET bottle is as good as any other. Coca-Cola do use plastic bottles in Zambia but it’s still considered a premium product and generally not available in rural areas where returnable glass bottles as used. As you intimate, glass is no good for SODIS as it filters out ultraviolet light. I came across this wonderfull idea on Tedtalks and I was wondering how I could help out. How do the mothers receive the vouchers to reduce the price of kits? Do they come inside the kits that are delivered to rural areas or are they given in some other way? The vouchers are given to mothers during awareness-raising activities and demonstrations of the kits. During the trial there was an SMS-based voucher inside the kits but these were hardly used and will not be continued in the scale-up. Its indeed a great effort. I see that there are no comments since last year. What has happened. In which stage is the trial now. Did you take out any conclusions. I am from Pakistan Diarrhea is a menace here aswell. If things turn out well i can arrange a similar kind of Campaign here as well since Coke goes everywhere here aswell. I will add your email to our ColaLife News Service so that you can follow our progress. Please check your inbox for a verification message from “FeedBurner Email Subscriptions”. You will need to respond to the confirmation email you receive to activate the service. If you activate the service, there is a link in each update to switch the service off if you want to stop the service at any time. I am studying your aid pod for a presentation and i think it is a ingenious way of using these materials and the space in the coca cola crates. I was wondering what the results have been like in Zambia, how many lives have been saved from this essential kit. In the trial 26,000 kits were sold to retailers serving remote rural communities. We estimate that 3 lives are saved for every 1,000 kits sold. Please let me know how your presentation goes.